I like to say that here in Greenville we live at the end of the road. For those that love the outdoors and rugged, remote beauty of the undeveloped Maine Woods, there is no better place to live. We welcome our seasonal visitors that come to the area to recharge their batteries. We have moose, deer, trout, salmon, skiing, snowmobiling, and hiking. Greenville sits at the entrance to the Maine North Woods where one can truly escape a hectic lifestyle that is so prevalent just to our south. Miles of dirt roads, thousands of miles of undeveloped shorelines around our crystal clear lakes, ponds, rivers and streams, all just waiting to be explored. Because we are surrounded by forests and not towns, raising funds to maintain our programs can be challenging. The community support for NREC has been terrific. The area's small businesses have donated money, time, and products for, not only our events, but for all the events and non-profits in Greenville. We could not continue without the support of the community and the folks that visit our town at the end of the road. Hopefully, you have already browsed these pages and have learned about NREC's programming. I should note that we have 100% volunteer staff and executive board. We do hire a staff member in the summer to oversee the Maine Woods Explorer Program, but all of our funding goes directly to support the various events, programs, and maintaining our new Visitors' Center at the entrance to town. There are many ways you could support NREC. Of course, making a donation and becoming a member is a great way to make sure NREC has the funding needed to fulfill its' mission. 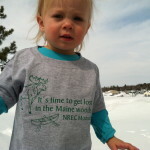 You could buy a tee-shirt for a child or grandchild and all the proceeds go to our programming. NREC is always looking for interesting topics for all ages programs, if you have an idea, we'd love to hear from you. Supporting NREC could be as simply as passing the word along to your friends via Facebook or other social media. Thank you for visiting. Will you become an NREC member today? 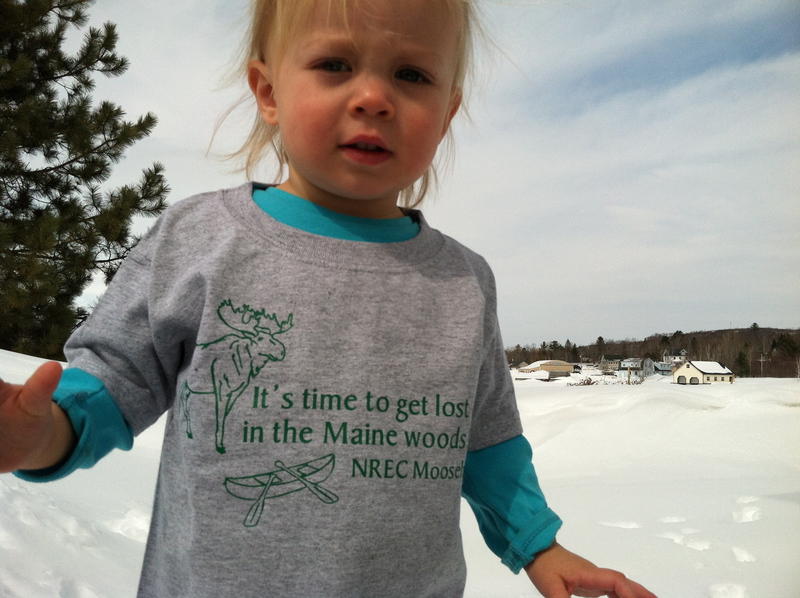 Isn't it time you got lost in the Maine Woods? Don't worry, you'll be spotted easily with this orange NREC T-shirt. 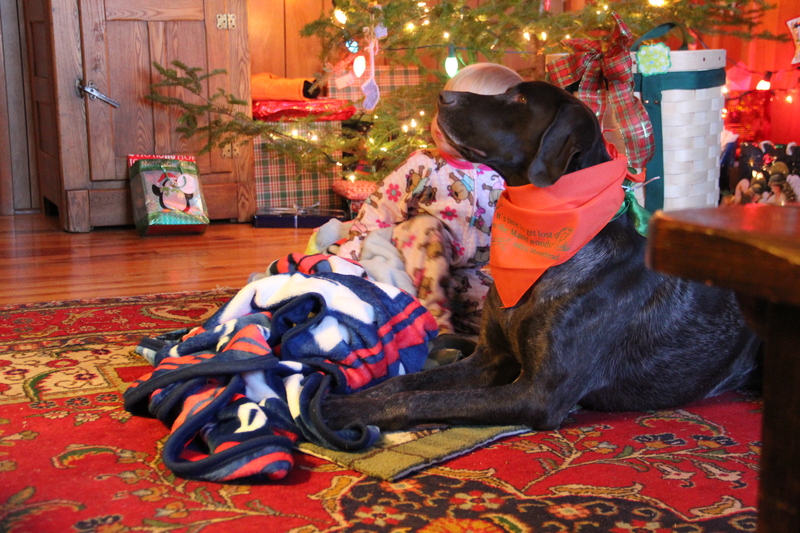 Your pooch will look like a real Maineah with an NREC Bandana!